Battle of Beasts -- Rule and Fight! It’s an adventure like you’ve never experienced before. In the Fantasy Browser Game Battle of Beasts, you will create your own monster empire. 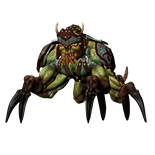 You will keep and care for fearsome monstrosities, with which you will fight enemy units. Conquer the mysterious and treacherous regions of the browser game Battle of Beasts – from the dark forests of the Isles of Belgron over Elfrarheim, the realm of the wild Wendigos, to the volcanoes of Ignizor, which even the dragons fear. Experience a unique online roleplaying game challenge. Unlock cool battle game features and dive into a fascinating world of monsters, battles and mysteries. In Battle of Beasts, Bamberg game developer upjers offers you a great turn-based strategy game. Explore this impressive combination of tycoon and battle game. Be courageous, rule, battle and create your own monster empire. Register free now! Create your own Monster Horde! You’ll start off into the game under the tutelage of the wise but mysterious mage. Wrapped in a dark cloak with a golden trim, he will familiarize you with the most important features of Battle of Beasts. He will instruct you in the construction of a small plains enclosure, which will house your first monster, an imp. 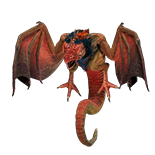 Imps are small, clever demons that attack their foes with fiery spells. They are especially popular with elves and humans. 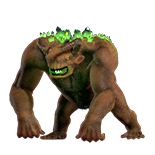 Your imp will be the first monster in your horde; as you shape your horde step-by-step, you will attack and conquer hostile regions. Of course, your pugnacious beasts require food to keep up their strength. And they will require adequate training as well. 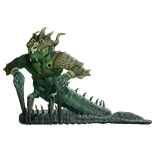 Before every battle, you’ll have the chance to rearrange your troop of attack monster. You decide, which of your creatures you will send into the fray. Try it out right away. If you want to try free dragon games and like good MMORPGs, you should definitely check out Battle of Beasts. Encounter elves, humans, and orcs. Create your own monster empire and lead victorious conquests. Battle of Beasts provides you with excellent MMORPG game features. Experience a unique browser game that will whisk you away into a fantastical world and guarantees long-lasting entertainment. Under the watchful eye of a mighty sorcerer, you will learn the ropes at the beginning of the game. You will learn how to build a plains enclosure, which will be home to your first monster, an imp. With this small demon you will fight your first battle. Battle of Beasts combines battle game elements with tycoon game features. It’s not just about fighting breathtaking monster battles and ferocious onslaughts; it’s also about providing them with adequate food and preparing them for combat. With Battle of Beasts, upjers, the game developer from Bamberg, takes you away to a magical game setting. Join in for free now and discover a truly amazing world. Your amazing adventure is about to unfold in the upjers browser game Battle of Beasts! Prove your strategic cunning. Assemble your own monster horde, supply your fearsome creatures, from small devilish imps and dangerous, venomous wasps with fodder. 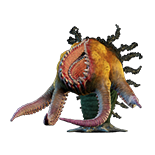 Keep your various monsters in appropriate enclosures, and collect more and more species of monsters as the game progresses. Battle of Beasts offers you a unique browser game experience with a dark fantasy setting. Experience an extraordinary turn-based strategy game. Use cool battle game features, attack your foes with special attacks and conquer new territories. Battle of Beasts will provide you with user-friendly fantasy game features, detailed graphics and tons of exciting quests. Conquer 9 countries, from the lost Dwarven realm of Byrkenholm to Elfrarheim, the home of the wild wendigos to Ignizor, a craggy volcano landscape avoided even by dragons. If you love roleplaying games and want to play dragon games for free, you’ll be fascinated by the opportunities Battle of Beasts has to offer. Try it out! You’ve barely set foot in Tutorria, and you’re already in the midst of your first battle. 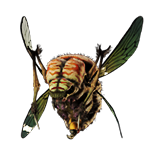 With your imp, a small, bug-eyed demon, you will be thrust into your very first fight. Battle of Beasts is a turn-based strategy game that will captivate you with fantastical game experiences. In this unique fantasy browser game, you will form your own monster horde. You will acquire mythical creatures, keep them in pens, feed them, and train them for action-packed combat. Additionally, you will build a settlement with countless buildings, paths, and eerie decorations. The larger and more impressive your town, the more elves, humans, orcs and dwarves you will attract. Use exciting MMORPG features and unlock more and more areas and features. Earn countless achievements, from the Decoration and Monster Apprentice achievements, to higher level achievements for Adepts, Experts and Masters. Make virtual friends, expand your monster horde and begin an exciting conquest campaign. Discover the endless possibilities of Battle of Beasts and play free now! The browser game Battle of Beasts offers you many modes of gameplay. The further you progress, the more action and customization options you’ll have at your disposal. Dive into a fascinating fantasy world. Keep monsters, produce feed with the help of the farm, mill and bakery, take care of your creatures and send them off into epic battles. Many exciting quests and tons of new challenges await you in the course of this upjers browser game. Explore and conquer a total of nine territories, from the small and humble Tutorria to the once mighty Dwarven realm of Byrkenholm whose ruins and crypts are guarded by mythical black dogs, the so-called barghests. Fashion your own monster realm and discover the mysterious world of Battle of Beasts. Experience a unique fantasy browser game that combines cool battle game features with online roleplaying game elements with a unique twist. If you want to try fantasy games and dragon games free, just register for free in the upjers Portal and you’re ready to go! Go forth into the Battle of Beasts!